A 30-year-old Maryland man has been sentenced to a decade in jail after shooting a man outside a D.C. nightclub last year. Jonathan Blades of Suitland, Maryland, was sentenced Friday to 10 years in prison for the shooting, which occurred outside a nightclub at 20th and K streets NW. Prosecutors say that around 3 a.m. on Feb. 2, 2014, Blades got into a fight with another man after leaving a nightclub, and then retrieved a 40-caliber semi-automatic handgun from his car. When the other man started to run away, Blades fired at him nine times, sending a bullet through his back and shoulder, say prosecutors. The victim was able to get to an Exxon gas station at 22 and M Streets NW, where he found help and was eventually taken to a hospital. 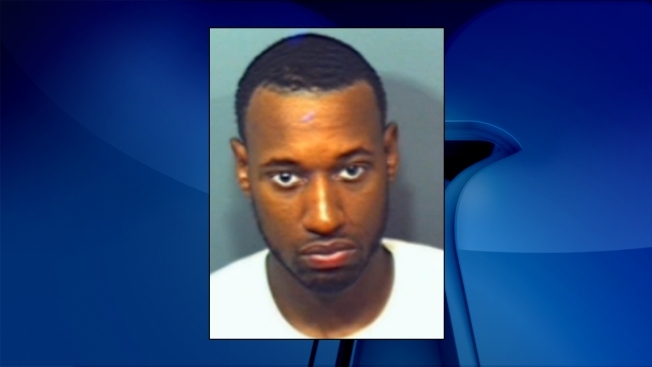 Jonathan Blades of Gaithersburg is in jail charged in a near fatal shooting in Northwest Washington. News4's Prince George's County Bureau Chief Tracee Wilkins more on the case and how Blades is connected to another murder. Blades was arrested three days later. He was found guilty in January of multiple firearms offenses and assault charges, including assault with intent to kill. After Blades is released from prison, he is ordered to participate in a supervised release program for five years.